Stick a fork in the microwave. It's done. Most Americans no longer consider TV's a necessity. 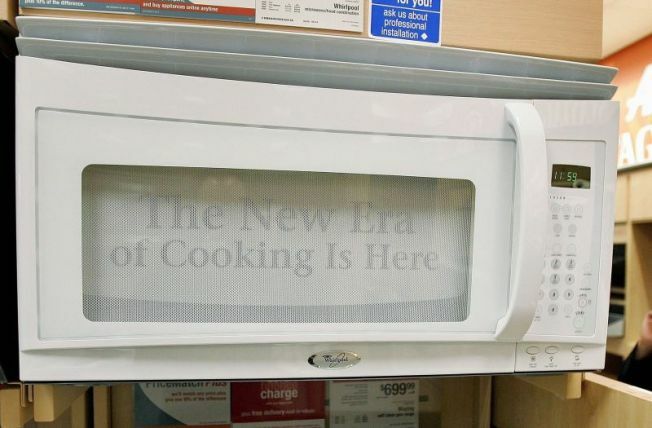 The majority of citizens could live without microwaves, air conditioning and televisions as they look to cut costs at every corner, according to a Pew Research Centerstudy. The survey of 1,003 people said a car was the number one necessity this year, much like the 2006 survey. Cars did suffer a slight decrease of three percent from 2006 to 2009, but with gas prices still down it remains a must have for any family in America. Americans ranked the dryers, dishwashers and air conditioners as basic items that were needed in a home in 2006. But three years later, the proportion that considered a dryer an essential element of the home dropped 17 percent and those who named the dishwasher and air-conditioner as must-haves slid by 14 and 16 percent, respectively. The TV dropped 12 percent and the microwave took the biggest hit -- dropping off 21 percent this year. The study also found that eight-in-ten adults have taken specific steps to downsize and almost six-in-ten say they are shopping in discount stores instead of name brand stores. Other belt-tightening measures people are taking include cutting back on purchasing alcohol and cigarettes. Twenty-four percent have cancelled or reduced their installation of satellite or cable TV. Without cable or satellite it's wonder people don't consider TV to be a must-have anymore.